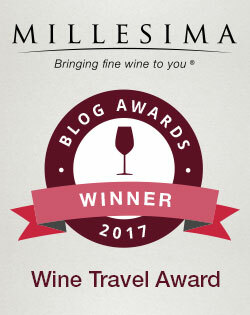 Although Great Britain controlled the exquisite island of Menorca off and on for less than a century between 1708 and 1802, its influence can still be felt in the local cocktail culture. The traditional tipple isn’t sangria or sherry, but gin. 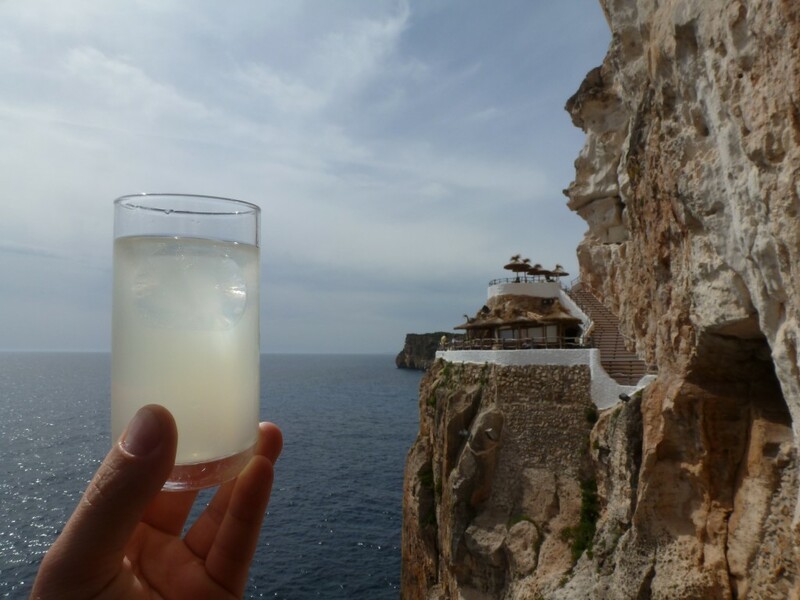 In fact, Menorca is one of the few places in the world with its own gin D.O., Gin de Menorca, because of the unique local distillation process. British soldiers stationed on this small island off the coast of Spain longed for a taste of home, and residents obliged, distilling gin mostly from local wine rather than grain, in the manner of Dutch genever. 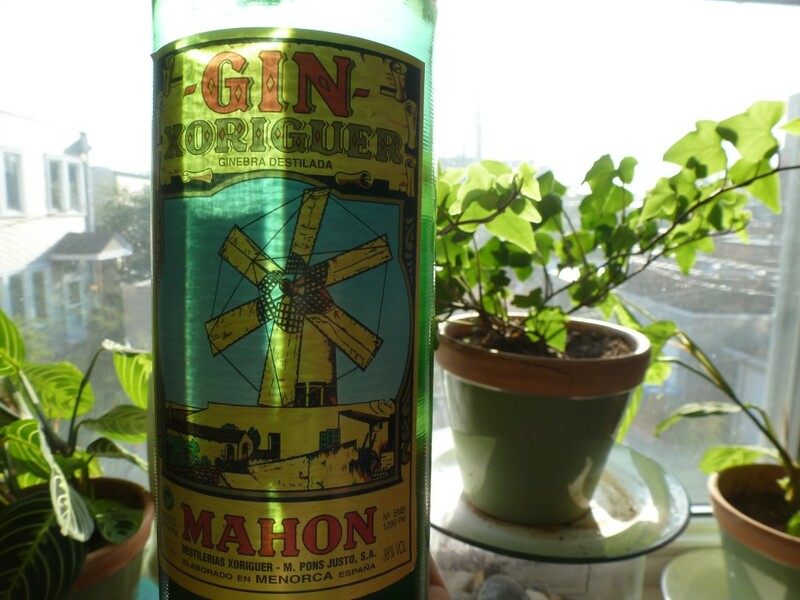 I’m not sure how many distillers were crafting gin 200 years ago, but now the production of Menorcan gin is now dominated by one company, Xoriguer (sho-ree-gair), owned by the Pons family, which traces its lineage back to the very first Menorcan distillers. Xoriguer still uses wood-fueled copper pot stills to craft its gin, much like the first gin makers on the island. 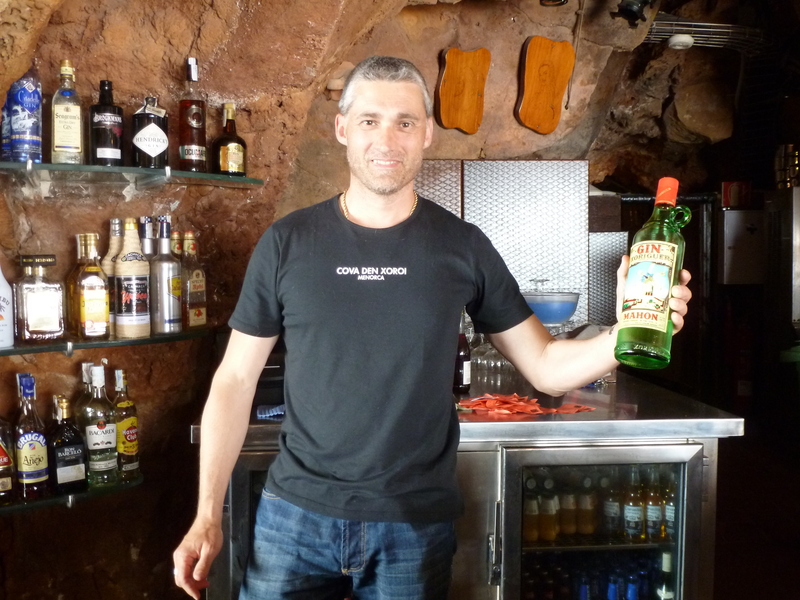 I had my first opportunity to taste Xoriguer gin when I visited Menorca in late April. In need of a little refreshment after touring some of the island’s mysterious megalithic sites, we climbed down to Cova d’en Xoroi, a bar and club inside a spectacular cliffside cave overlooking the Mediterranean. It felt a little too early to drink the gin straight, so I opted for a classic Pomada cocktail. Traditionally, a Pomada is a mix of Menorcan gin and lemonade over ice, but at Cova d’en Xoroi, the bartender substituted lemon Fanta. It still tasted great — cool, refreshing, aromatic and just a bit tart. Of course, the flavor wasn’t hurt by the stupendously scenic setting. Before we left Menorca, I made a point of stopping in the Xoriguer distillery’s store, set on the waterfront just below the old quarter of the island’s capital, Port Mahon. I snapped up a liter bottle for about 12 euro; a brilliant bargain. I finally cracked open the bottle and gave it a try. It smelled (unsurprisingly) like juniper, but there was also something savory on the nose. Sipped straight at room temperature, the gin didn’t feel silky smooth, but it tasted wonderfully complex, with notes of juniper, rose, anise, white pepper and even incense. Squeeze one lemon and measure the juice — that will equal one part. Add the lemon juice and gin to a shaker, and shake with ice. Strain into a highball glass, and top off with the tonic. This cocktail tastes tart, refreshingly aromatic and complex. A delight. To give the cocktail a little extra burst of freshness, add three mint leaves to the shaker with the lemon juice and gin. When you shake the cocktail, the ice cubes will bruise the leaves, releasing the essential oils. Xoriguer gin seems to be very difficult to find in the United States. I’ve asked Xoriguer to send me the contact of a U.S. retailer, and hopefully I’ll have good news for you shortly. 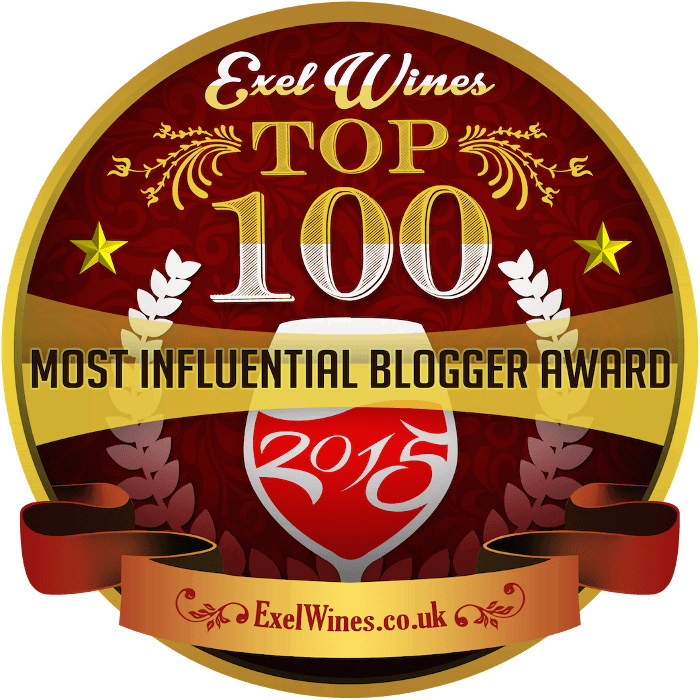 But in the meantime, if you’re traveling to Spain or Britain, keep an eye out for it in the local liquor shops. I’m so glad I took the trouble to bring a bottle home.